Provide clinicians with secure ways to instant message each other to avoid putting personal health information at risk? Help hospitals reduce admissions and make real-time care coordination across facilities possible? Help providers manage medication adherence? Reduce risk, errors and costs for healthcare providers? Improve care and quality of life for patients? For healthcare systems — and the clinicians within them — to better help patients. For healthcare providers to better use data and insight to help themselves be more efficient and profitable. In ways that help right now: are mobile, immediate and actionable, for split-second decisions that affect lives. Cureatr fills in the blanks in healthcare information. How well are you serving your patient populations? 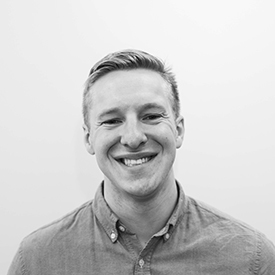 As Director of Marketing, Jake leads Cureatr’s marketing and commercial operations strategies and execution to effectively position and promote Cureatr’s vision and solutions in the healthcare market. Jake brings 6 years of health IT marketing experience, previously serving in several marketing roles at Surgical Information Systems including Marketing and Sales Analyst, Proposal Manager, and Senior Marketing and Communications Specialist. 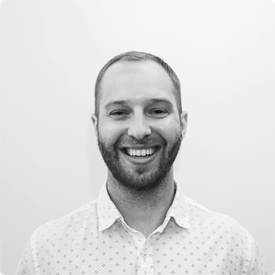 Jake joined Cureatr in March 2018 as Marketing and Automation Manager before being promoted to Director of Marketing in January 2019. Jake holds a Masters Degree in New Media Management from the S.I. Newhouse School of Public Communications at Syracuse University and a B.A in English and Textual Studies from of the College of Arts and Sciences at Syracuse University. Lucas leads Cureatr’s client services, support, and operations team as the Director of Customer Solutions, helping clients realize the full value of our solutions by establishing efficient process, refining best practices, promoting user adoption, and amplifying the voice of the customer so their input can direct our product strategy. 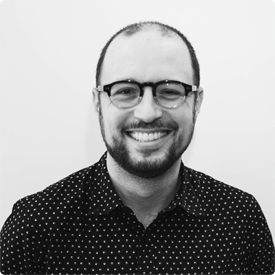 Lucas joined the Cureatr team in 2014 (after time as an implementation consultant for Surgical Information Systems), quickly rising through the ranks from implementation consultant to Senior Manager of Client Services, to his current position. He holds an M.P.H. (Master of Public Health) from SUNY Downstate Medical Center College and a B.A. in Psychology from Syracuse University. After working as an FDNY EMT and RN in a New York burn/trauma ICU, Ben Duchac had enough of healthcare tech that added more time, more confusion, and more headaches for providers at the bedside. After launching an innovation initiative at NYP, he saw the enormous potential that great tech products have to impact providers and patients for the better, and he dedicated himself to building the future he wanted to see. 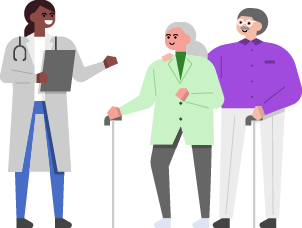 After a product-focused MBA at Cornell Tech, Ben joined the design team at Quartet, where he worked directly with physicians across the country to integrate data science-driven recommendations directly into their clinical workflows. At Cureatr, Ben is applying an iterative, user-focused process to identify and solve the struggles he remembers all too well. Beyond Cureatr, Ben is an avid road cyclist, photographer, and dad to a very demanding but equally charming 2-year old. Dana brings more than 20 years of technology industry sales experience (15 of those dedicated purely to healthcare) to the Cureatr team. Her deep knowledge of and experience working alongside health systems, providers, health plans and at-risk organizations belies her passion for creating better solutions for physicians and clients. 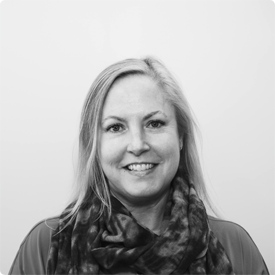 She’s an alumnus of a variety of global corporations, including Cerner, Philips Healthcare and Oracle, has a B.A. in Communications, and is steadily working toward her advanced degree. 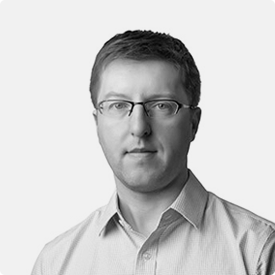 As Cureatr’s Founder and CTO, Alex is responsible for driving the company’s product development and technology, while his vision for a better informed and connected healthcare industry drives us every day. Prior to Cureatr, Alex served as Director of Engineering at 23andMe (which he joined as the company’s first software engineer), and was a Principal Team Architect at PayPal, where among other things, he led the development of the company’s first mobile product. Alex holds a B.S. and M.S. in Computer Science from Stanford University. 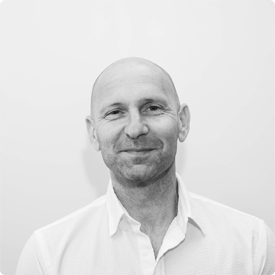 Bill is a senior financial and operational professional who spent more than twenty years building venture backed and growth stage companies in healthcare and technology prior to joining professional services. He has extensive experience in fund raising, management, executing on strategic and operational plans, implementing financial controls, and operational effectiveness. Bill was recently the Interim CFO for COTA, a cancer and healthcare analytics firm based in Manhattan for more than a year and prior to that spent 7 years as the CFO at QuantiaMD. At QuantiaMD, Bill raised both debt and equity financing, expanding the organization from a pre-revenue startup into the nation’s leading collaboration platform for physicians. Bill holds a B.S. in Finance from Boston College and an M.B.A. from the F.W. Olin Graduate School of Business at Babson College. He is a member of the High Tech Financial Executives Network, Healthcare Information and Management Systems Society and serves as a board member for nonprofit organizations. 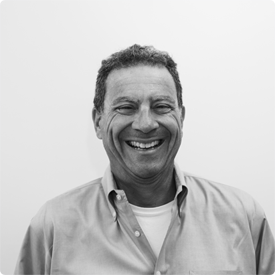 With over twenty years of experience delivering results for venture capital-backed SaaS companies, Richard leads Cureatr as our CEO. Before joining our team, Richard served as CEO of GQ Life Sciences, which he led to a successful acquisition by Aptean in 2016. As a respected healthcare industry thought leader, Richard speaks publicly on trends in technology. (Be sure to check out his TED Talk, “Welcome to the genomic revolution.”) Richard holds an M.B.A. from the MIT Sloan School of Management, an M.S. in Computer Science from Worcester Polytechnic Institute, and a B.S in Computer Science from the University of Massachusetts at Amherst. 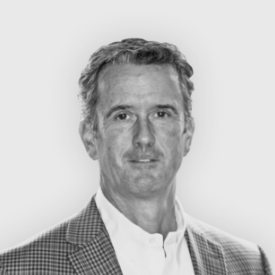 Dr. Ross is our Chief Medical Officer, a role in which he helps determine Cureatr’s clinical strategy, supports business development and market validation efforts and drives our research and measurement. A visionary physician and executive with more than 25 years of experience, Dr. Ross is a board-certified pediatrician and previously held executive positions at RxAnte, NaviNet, Prematics, and Varolii. Dr. Ross received his Bachelor of Science and MD from George Washington University, his master’s in healthcare administration from the Virginia Commonwealth University and was named “Top Doctor” by the Washingtonian Magazine. Working with us means working toward better, safer, more effective healthcare for everyone. We use technology to make a difference in the lives of patients and physicians. If you have similar goals, perhaps we should work together? We care about each other, feel compassionate toward everyone, and have empathy for people – even when we disagree. We are honest and open because we want to help and be helped in identifying blind spots in our thinking. We have integrity in all things. We are innovative - in product, in process, in each other, because fixing healthcare requires new ideas. We have fun at work because we like each other and we choose to be happy. We work here because we want to fix healthcare. Our heroes are the clinicians who dedicate their lives helping others but are underserved by the US healthcare system. Because of this, patients – you, me and everyone we love – cannot get the care they need. We believe that we have the power, insight, and passion to help.